As a working jewellers, we pride ourselves on being able to tailor a piece of jewellery to the individual - in terms of both style requirements and fitting. 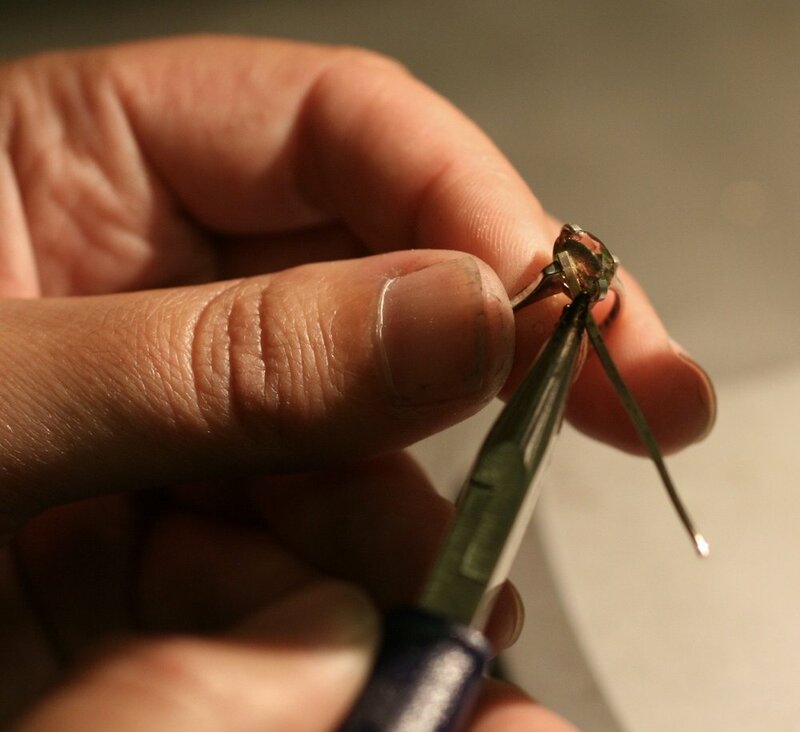 Working in all precious metals, we offer an extensive repair and alteration service in our on-site workshop with services ranging from cleaning and polishing, ring resizing, claw-retipping and restringing to so much more. We are reputable for making seamless wedding bands of various styles to order in silver, 9ct and 18ct gold, palladium and platinum.